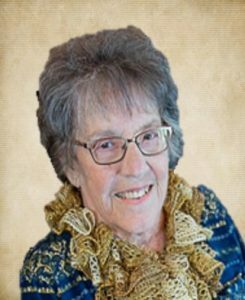 Sharon Kay Kracl, 76, of Schuyler, died Saturday, February 9, 2019 at her home in Schuyler. 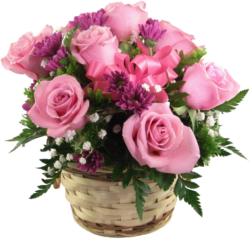 Wednesday, February 13, 2019 10:30 a.m.
Sharon Kay (Neuhaus) Kracl was born March 16, 1942 in Omaha, Nebraska to Harold and Lucille (Wolf) Neuhaus. She graduated from Clarkson High School in 1960. On September 15, 1962, Sharon was united in marriage to Richard Kracl at the New Zion Presbyterian Church in Clarkson. In the early 1980's she graduated with her LPN degree from Platte College, and then worked at the Schuyler Hospital. Sharon was also active on the Schuyler Rescue Squad for many years. Sharon was a member of the First Presbyterian Church in Schuyler, where she served on the sessions. She worked as a Para Educator for Schuyler Community Schools. She enjoyed all activities with her grandkids and great grandkids. She also enjoyed camping and her summer water aerobics classes. Sharon is survived by her husband Richard of Schuyler, Son DeWayne (Kathy) Kracl of Schuyler, Daughter Kelly (Daryl) Hubbell of Plattsmouth, Grandchildren: Megan Andel and special friend Chris Harris of Schuyler, Darek Hubbell and special friend Carli Rhylander of Bellevue, Kesha Schuller of Fremont, Layne (Jami) Hubbell of Blair. Great grandchildren: Talon, Nolan and Jordan Andel. Ayden & Ashten Schuller. Sister Shirley (Vern) Petersen of O'Neil, Brother Richard (Rose) Neuhaus of Schuyler. Many nieces and nephews. She was preceded in death by her son Brad L. Kracl in 1989, parents Harold and Lucille Neuhaus, mother and father-in-law Frank and Eloise Kracl.